And the company really does put their all into every holster they offer. These holsters are made with high quality, uniquely-sourced material. The designs are unique, and all are thoroughly tested. 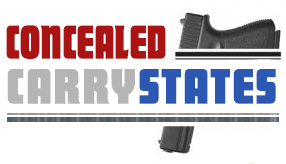 When you buy a holster from Urban Carry, you can be confident that the company has tested the holster thoroughly. Staff members are then taught about every holster so that when you have a question, there is a point of contact that can always offer their assistance. You’ll hear a lot about the Urban Carry company when looking for holsters, and one of the premier models that you’ll keep coming across is the G2. The G2 Urban Carry is designed with one thing in mind: comfort. The holster comes in two color options for every outfit: brown and black. When you choose this holster, you’ll be choosing a holster that is designed for your gun. Laser. You can choose options with no laser, and trigger guard / rail laser. G2 Model / Size. Pick among several different size options: Cadet, Captain, Colonel, Lieutenant and Trooper. Leather. Pick between Saddle Grade and English bridle leather. The English leather is a lot nicer, but it does add to the cost of the holster. What makes this holster so special? A lot. The company keeps all of the manufacturing in the United States, so you can be confident that the holster undergoes the best quality control. The company also commits to using only 100% genuine saddle grade leather. This is the leather that will last a lifetime with the proper care. Neutral in color and design, you can be confident wearing this holster with jeans and a t-shirt, or you can wear it along with dress pants and a vest. It is one of the most universal gun holsters that we’ve had the pleasure of reviewing. And what really matters to me is that this holster was designed from the voices of the people. Urban Carry is a huge company, and they have a lot of people that have let them know what they would like to see in their perfect holster. Suggestions were considered and implemented into the holster’s design when possible. These suggestions helped to make the holster a better option for the everyday user. The firearm is completely concealed. You can tuck your shirt in, leave it untucked and in either case, you’ll be able to quickly draw your gun as needed. It’s perfect, like I mentioned before, for a person who likes to wear a variety of outfits. The steel clip that is featured on the G2 has been custom designed so that it can withstand the stress and pressure of a variety of situations. You can secure the clip to your holster without a belt or with a belt – it’s up to you. Extra-durable, this is one of the industry’s strongest clips and is designed to meet even the most stressful of situations. The base of the holster features a powerful magnet. Why is there a magnet? The magnet keeps your gun snug in place. When it comes time for a rapid draw, the magnet will keep the firearm steady so that it can be removed from the holster quickly. Laser compatible options are available. This option has ECR technology built-in, and the base is wider so that it can accommodate the laser. Your ECR will automatically turn on when you draw from the holster thanks to the design. When you go to holster your firearm, the laser will automatically turn off, too. Patented design. Everyone seems to have their own patents, and the G2’s patent is a little different. This patent allows the firearm to stay below the waistline. Now, why should you care? By keeping the firearm below the waistline, you’ll be able to maintain natural movement at all times. You never have to worry about the firearm digging into your stomach or your leg again. The leather has all been pre-conditioned. You never have to worry about those long break-in periods again. You’ll be able to feel the comfort of your holster much faster. And when the leather is broken in, this also allows the firearm to seat better. Pre-conditioned leather is overall much better than having to “break in” your leather. Improved holster design. Urban Carry paid attention to the comments from users, and they have made sure that this holster’s unique design was able to meet many of the complaints that people had. You can perform a rapid draw every time thanks to the design that guides the firearm directly to your hand every time. All G2 holsters are size specific, so you’ll need to make sure that you choose the right holster size to hold your firearm. The cadet model is meant for a Ruger LCP or similar style gun. This model weighs a sleek 7.6 ounces and has an overall flat size of 11.75″ x 5″ x 0.25″. The trooper model is meant for Glock 42, Sig P238 or similar style gun. This model weighs a sleek 7.9 ounces and has an overall flat size of 12.75″ x 5.25″ x 0.25″. The lieutenant model is meant for a Springfield XD, Glock 43 or similar style gun. This model weighs a sleek 8.1 ounces and has an overall flat size of 9.5″ x 5.75″ x 1″. The captain model is meant for a Glock 19 or similar style gun. This model weighs a sleek 8.5 ounces and has an overall flat size of 10.25″ x 6″ x 1″. The colonel model is meant for a Glock 21 or similar style gun. This model weighs a sleek 9.6 ounces and has an overall flat size of 11.5″ x 6.5″ x 1″. If you get confused on which model to choose, the main product page has a wealth of information available. You can also ask customer service for their opinion on which holster size to pick. The G2 is one of the most comfortable holsters I’ve ever worn. Fits great and on everything from jeans to sweat pants. Best holster I have ever owned. And you’ll find dozens of others that are similar in nature. There is a reason that the G2 is one of the company’s top-rated products: it’s awesome. Where to Buy the Urban Carry G2 Holster? The G2 can only be found on the company’s main website. Amazon does have the G1, but it’s often used or overpriced. G2 is superior, and if you want to make sure that you’re not being overcharged, go to Urban Carry directly and sometimes they will have a special discount for Urban Carry coupon codes. Click here to view the G2 Urban Carry on the Urban Carry main page.